Lydia and Claude Bourguignon, French agronomists, as well as other scientists, questioned the dominant principle of tillage, which is (still) supposed to help raise the yield of crops. Of course this would not please the mainstream vision of modern agriculture and this would rather bother the « cropscience » giants. The Bourguignon’s are famous for not being afraid of the big boys around. Brave, passionate and hard working people. Like laboureurs. It’s not about another theory: we’re talking about practices. They actually checked soils and met farmers all over the planet! This movement started in the 1970’s and, since then, kept growing. In France, beyond the Bourguignon’s, Marc Dufumier, René Dumont, Pierre Rabhi have been struggling for ages in order to prove that another kind of agriculture is possible, in a sustainable way. Because we turned urban and our occupations shifted from agriculture to industry and, more recently, to services, it seems that we globally and massively turned our back and moved away from the very essential activity of humans, since neolithic times! Agriculture was born some 6 000 years ago ; further to hunting and picking nature’s food resources according to our daily or weekly needs. But repeated traumas of starvation and technical progress pushed us to work the land and plough deeper and deeper. As soon as agriculture started, we spotted our ennemy: weeds…and we still suffer from such a dogma. Bad weeds, useless and needless plants! Step by step technical improvements made us forget about the essential substratum, the soil. However, thanks to people like the Bourguignon’s we have very reliable data on the real nature of the soil, and its worldwide health. The upper layer of earth’s crust is a complex chemical and physical system. A subtle organic and mineral complex, an incredible « high tech » (although it was not man-made) ecosystem. The soil is alive, although we tend to be more and more blind!! It’s a crowded place, at a microscopic scale. As we try to protect our cultural diversity and architecture worldwide (see UNESCO’s longlist…) why not protecting too the many different types of soils from subpolar to equatorial regions? If we’re not more careful and conscious, we may just lose all the natural creative capacity of the earth. Forget hydroponics and « soil free » techniques, stop dreaming of man-made rival that could « beat » the soil. No way! Too much chemical and physical (ploughing) treatment lead to an impoverished soil: water doesn’t enter it and erosion increases, generating a snowball effect and causing extra need for more artificial compensation (fertilizers, irrigation). Welcome to the great vicious circle. Lucky day for bankers, agro equipment and input suppliers… Nightmare for the lonesome plowboy! This curious story is also a matter of historical circumstances and economic imagination. Indeed, nitrate was massively used during WW2 for exploding weapons, and after 1945 producers urgently needed to find new outlets. How to recycle nitrate business? Agriculture was the perfect target, as in parallel many countries were suffering from starvation and lack food supplies. Hence chemical fertilizers boomed, combined with a massive industrialization of farming, requiring less labour and more capital. Agriculture happened to be a major ingredient to revamp post-war economies. Short term productivity leaps were sought and long term considerations and side effects left behind. Honestly, who would then care about soil quality, crop quality, farmers’ health? Alright, so what’s the secret of a « good » earth? It all starts with tree leaves, that gather into a litter. Microscopic mushrooms turn it into humus, while bacteria transfer minerals. This is just a shortcut of a highly complex and fragile system. Underground rocks are chemically transformed, thanks to acids, into clay. Earth worms and other « inhabitants » help reach back minerals, leaving them on the top of the fertile layer. Their continuous journeys up and down help guarrantee soil vital breathing (air and water flows). Excess ploughing and irrigation deeply affect, if not ruin, this natural ecosystem. They tend to destroy both the chemical and physical equilibria. Erosion takes out organic materials that end up in rivers. Sometimes paradoxically men need intensive irrigation while groundwater layer is just a few meters below, simply because the sol is too damaged, too compact to allow the plants roots to benefit from it. What about plants, and food? Food lost an important part of vitamins and vital trace elements. For instance, between 1973 and 2000, iron fell by 28 % and selenium by 36 %, in wheat crops. Selenium is supposed to be an important element against cancer. Interesting to see how we turned this change into a new market segment, a new problem into a new solution (without treating any root cause). Happy suppliers of diet complements (who ever dared asking « how did ancient generations make it without such tabs? ») Any popular journalist ever tried to figure out the causes of impoverished crops? What does Brussel think about this public health threat? Since 1950, scientists have been checking nutritional content of food. Beyond carbohydrates, proteins as well as lipids, micro-nutriments – vitamins, minerals, trace elements, fatty acids – is essential for our healt. In the 1950’s, eating a banana, an orange and a peach would suffice to get the daily recommended amount of vitamin A. Nowadays, given the actual contents, we should eat 5 bananas, 10 oranges, and 26 peaches in order to keep up with vitamin A! This was revealed by a research in Canada in 2002 published by, The Globe and Mail, and broadcasted by CTV News. Agroforestry consists of having water and fauna back into the soil, by simply planting trees around farming or by growing within clearings. Give up ploughing… Farewell plow contest, big muscle shows ! 🙂 Forget the long-lasting myths. 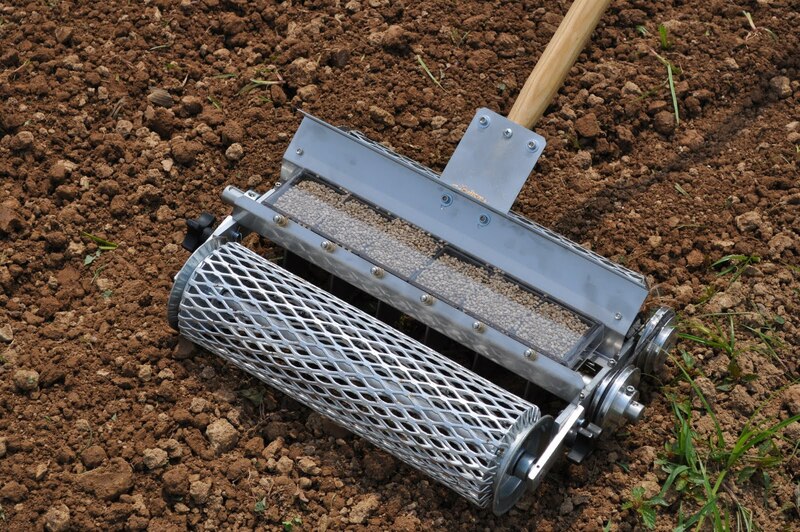 Lydia and Claude Bourguignon recommend to stop burying the seeds and stop tillage. Instead, use a « sowing wheel » or a disk that will simply create a slot for the seeds. 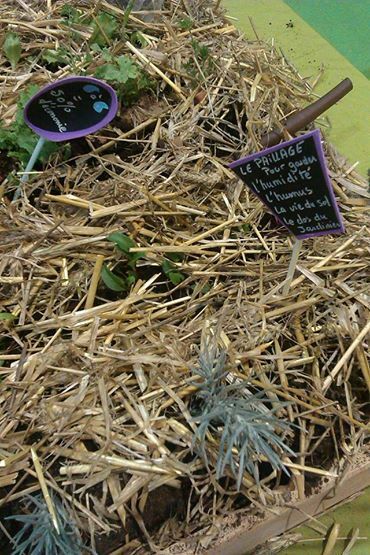 They also advise to harvest only at cobs level, in order not to leave a bare soil. Straw with remain. Rotating cultures is also part of the game. Here come the intermediate plants! It’s also possible to squeeze intermediate cultures and use « cover crops » technique. This way, seeds are protected and using enough cover prevents from unexpected weeds. Common sense! One won’t miss the fact that such alternative farming require way more manpower than agro industry does. Not to forget that France lost 90% farmers from 1950’s. Remember post-war political emergencies… Should we remind it to our beloved politicians, in order to relieve their unemployment figures pain? So, isn’t it time to question ourselves about a come-back to land. Is it so inhuman, as it’s been a main activity for millenia? Bourguignon and counterparts, worldwide, push stronger for an alternative agricultural education, requiring higher complex training. Institutional doors slowly but surely open their doors, both at R&D and educational levels. It’s just a matter of consistency: we cannot claim that we care for our food and health without caring for the professions behind. Agriculture is a real « labeur », no doubt it’s not an easy job! It probably deserves a higher social and economic status and valuation. Think again: agroecological farming uses less powerful tractors (no need to plow so deep and so often), saves fuel and fertilizers… so why waiting more before changing? Can we afford closing our eyes onto European policy consequences, as well as the excessive influence of a few companies and lobbies. Meanwhile, the soil and our health cannot wait any longer. Action is urgent.